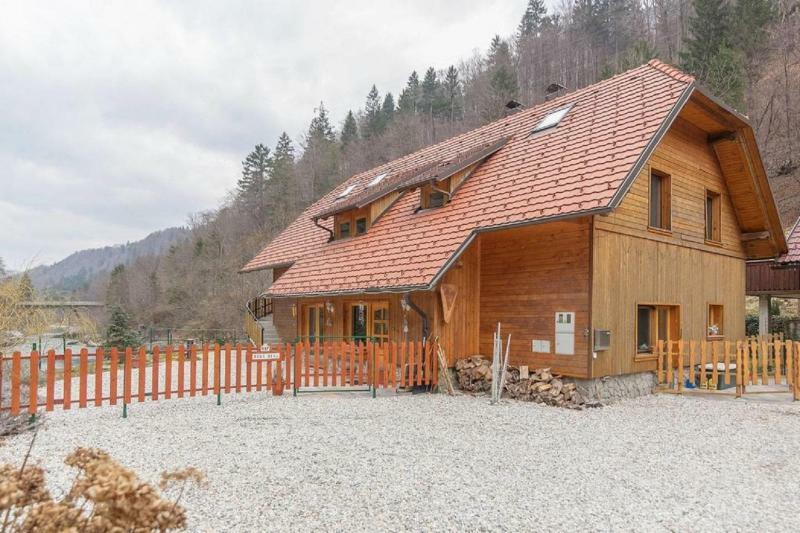 Stay at a charming lodge nestled beside the crystal clear waters of the Bohjinska sava river. A warm welcome awaits, with local knowledge to make the most of your time here! Tailor make this active holiday as you wish, with a choice of activities including kayaking, summer sledging, mountain biking, white water rafting and more! Select one activity per full day of your holiday. For example, if you stay 4 nights you will have 3 days of activities and so on. 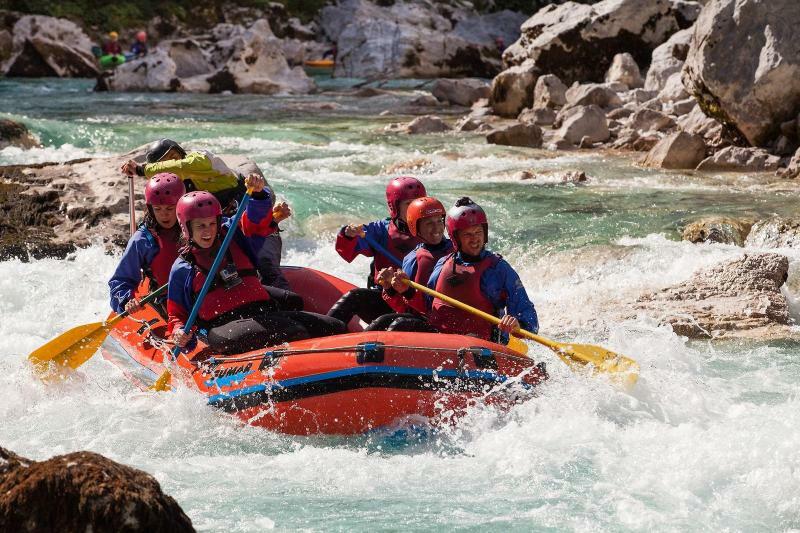 White water rafting can only be done once during your holiday. 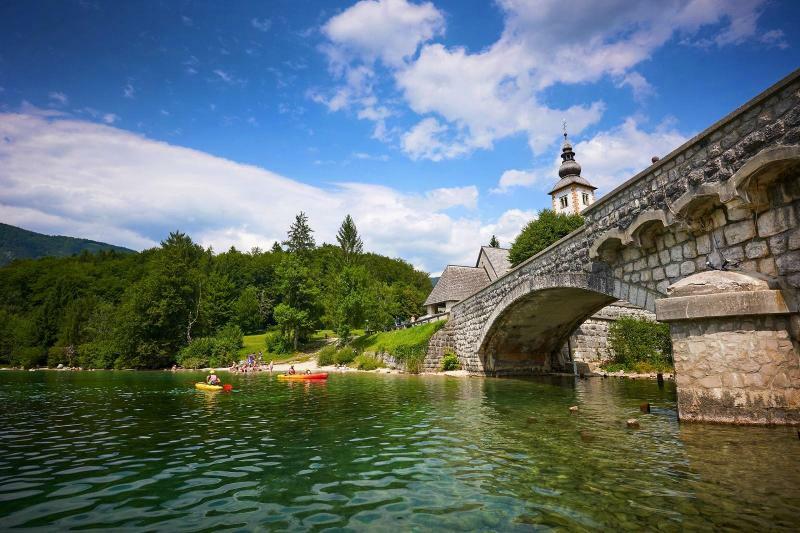 Explore Lake Bohinj by kayak, spend a relaxing day paddling around this stunning lake at the centre of the Triglav National park. This activity does not require any special skills and is suitable for almost anyone. Level from easy to moderate and duration for this activity is approximately 3 hours. Great fun for the whole family, the Bled summer sledge run is an exhilarating experience no matter your age. The tour takes you along a gravel road through the valley of the Radovna River and at its end, in the heart of Triglav National Park. You can ride into one of the three Triglav valleys Krama, Kot, or Vrata, which all ends up at the foothills of the highest mountain in Slovenia. Duration for this activity is an entire day, guided maps, bikes and safety helmets will be provided and the skill level is moderate. 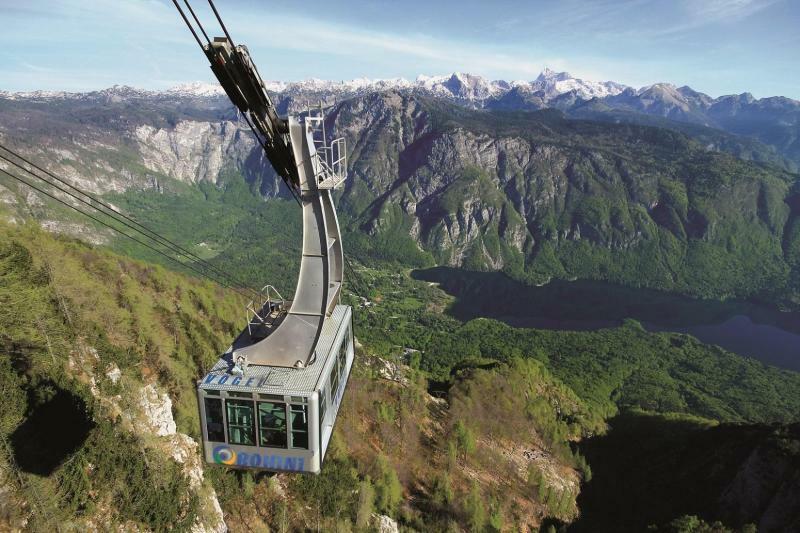 Free tickets on the Vogel Gondola takes you high up into the Julian alps with wonderful panoramic views over the National Park, This is also a starting point for some great walks. 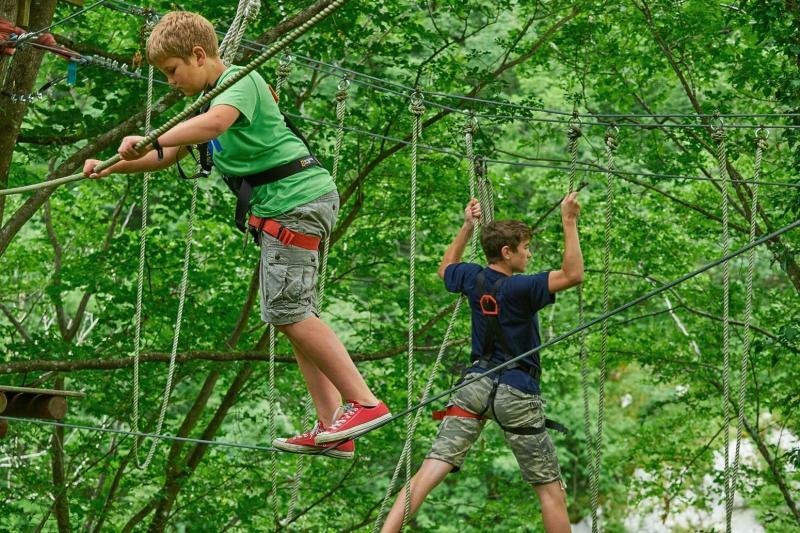 A total of 56 attractions and challenges set up in the woods. There are dedicated children's activities, while adrenaline addicts will love the spectacular Flying Fox about 42 meters above the ground. Before you start your adventure, the guides will help you get your safety harness properly fitted and take you through a short safety lesson on the ground, then you are free to enjoy the park on your own, although there are always guides on hand to help. 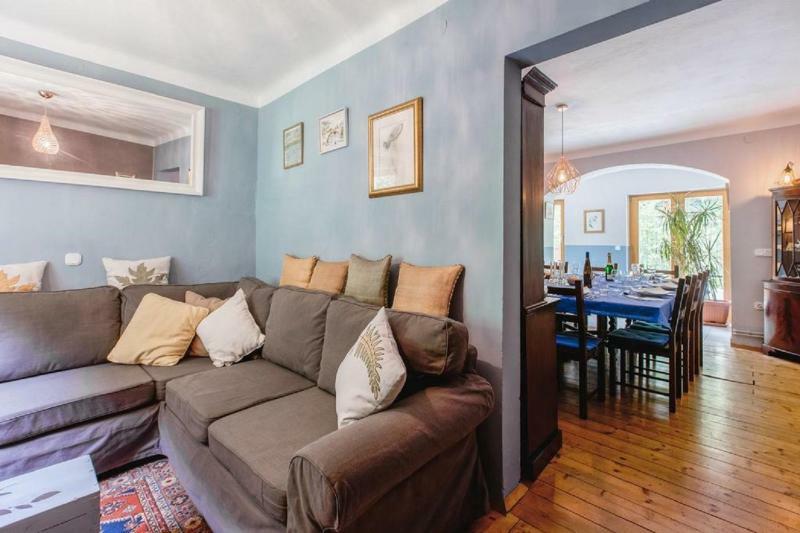 You can book a double room for 2 people or a family room for 4-5 people. There are no child rates for the latter so please select 4 or 5 adults under 'how many people'. Please note children under 6 years old may not be permitted to take part in all of the activities included in this break. If you are feeling really adventurous you can book additional activities at special rates such as: guided river kayaking, canyoning, horse riding, paragliding, scuba diving in the lakes, mountain hikes with overnight stays in the alpine huts and sky-diving. 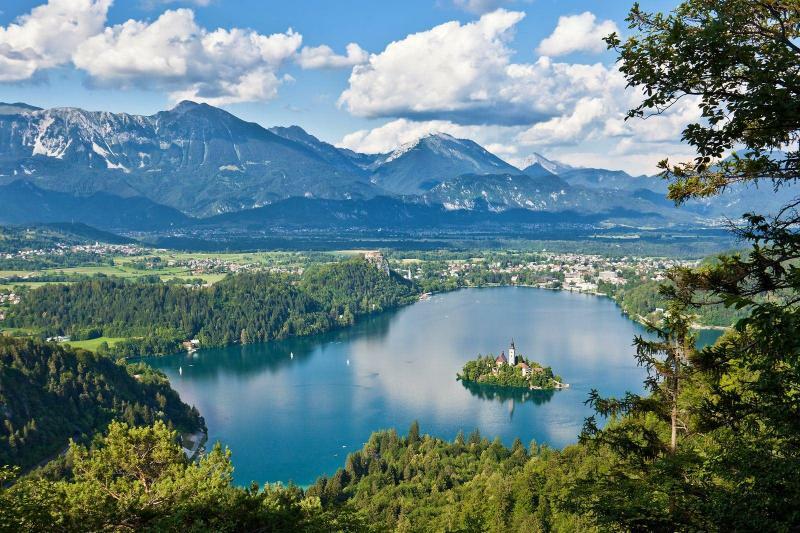 Set alongside the glacial lake of the same name, Bled is a resort town at the foot of the Julian Alps. 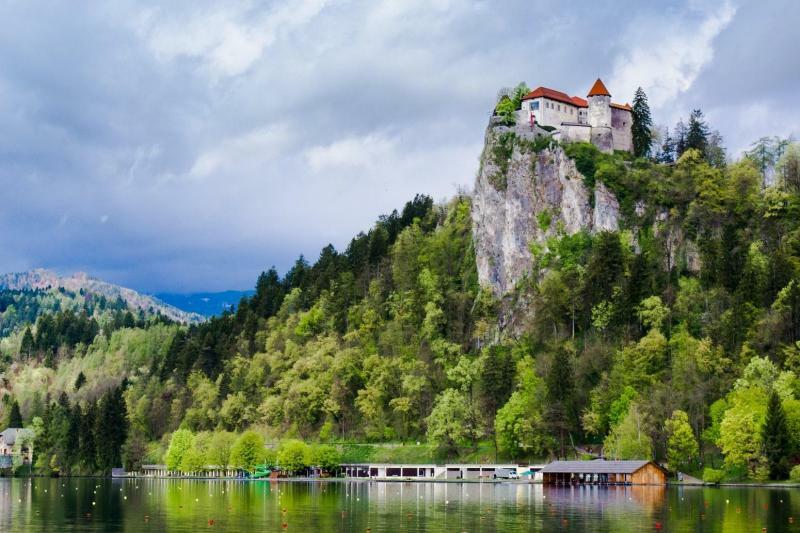 Bled Castle overlooks the lake from its steep cliff-edge and is one of the most popular tourist sites in the country. Dating back to the 11th century, the castle is the oldest in Slovenia and has plenty to see and experience inside its walls. The area offers many opportunities for sport and relaxation, from watersports on the lake, to hiking, cycling, fishing, climbing and much more there is something for everyone, including an adventure park for younger guests. The lake is also famous for its much photographed island, upon which sits the 17th century church of the Assumption. While it is possible to swim there, if you want to visit the church then take a trip on a traditional wooden boat called a 'plenta'; after climbing the 99 steps up to the building visitors can ring the bell in the clock-tower 3 times to make a wish. The 1.6 km long Vintgar gorge carves its way through the vertical rocks of the Hom and Bort hills and runs alongside the Radovna river with its waterfalls, pools and rapids. The educational trail leads you over wooden bridges and Žumr’s galleries, and ends with a bridge overlooking the mighty 13m Šum waterfall. Slovenia’s only national park covers a huge 880km2 including most of the Julian Alps. Famous for its beautiful uncontaminated landscapes and unusual flora and fauna that cannot be found anywhere else in the world. The town is most famous for its “kremšnita” cream cakes but in recent years has seen a huge influx of top chefs setting up gourmet restaurants throughout Bled. 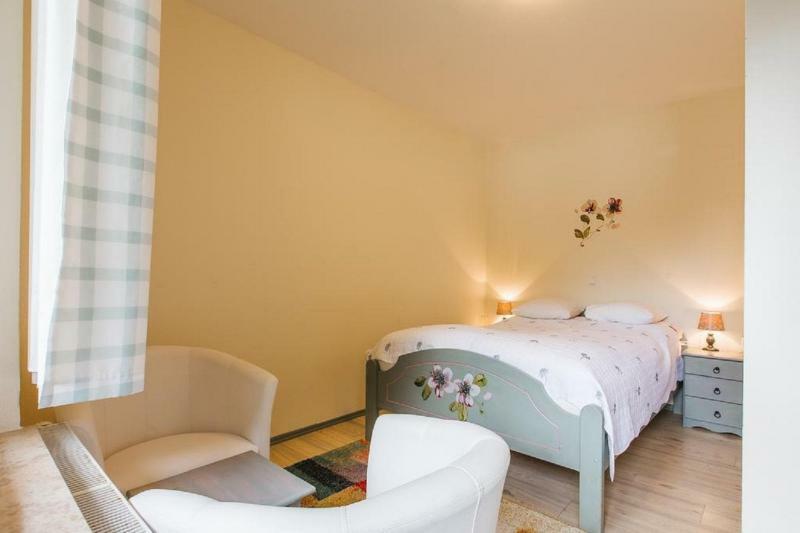 The chalet has a relaxed, informal atmosphere and offers basic, simply furnished rooms with terrace or balcony, ensuite bathrooms and hairdryer. Head towards the A2/E61 in Sencur from Route 104. Follow this until Lesce/Lesce-Bled. Take Exit 3 until Bohinjska Bela. The lodge will be on the right-hand side. Take an airport bus from Ljuljana to Kranj, then from there change to get a bus to Bled.